Please drive with extreme caution as the trail is very rough in places. 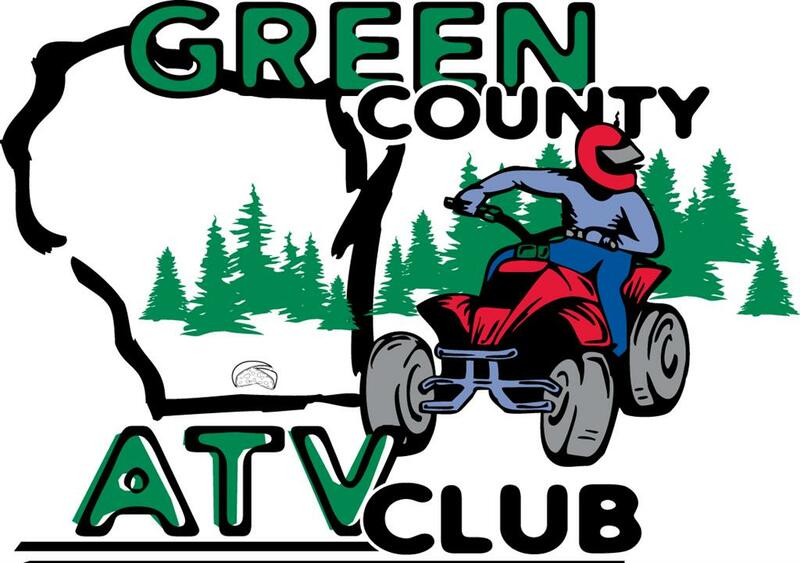 The Green County ATV Club was established in 2003 to promote fun and safe ATV riding for your outdoor enjoyment, and to provide instruction and information so that all riders will respect our trail systems and all others that use the trails. Another one of our club goals, is to help promote economic development in the City of Monroe, and all of the Green County Area, for riders to enjoy the beautiful scenery and local businesses, as the Cheese Country Trail is a premiere riding experience in the Tri-State area. We are located in Green County in the state line area in southern Wisconsin, on the east end of the Cheese Country Trail System· The trail is 48 miles long, on a scenic, groomed, abandoned rail bed, from Monroe to Mineral Point. In Lafayette County, just before Calamine, at the Y, you can continue on to Mineral Point or take the 10 mile trip to Belmont from the Cheese Country Trail system. Riders can, also, enjoy the many miles of road routes, exiting off the Cheese Country Trail system, in Lafayette County. Club has worked, with the City of Monroe, to establish routes to the local motels, fuel stations, restaurants, bar & grills, fast food places, ATV/UTV repair/parts, and other supplies. Another City route leads to a large parking lot just one block South of the Historic Downtown Square, where you will find many more restaurants, bar & grills, a deli and confection shop with tasty ice cream and much more. You can continue on that City route to the Green County Fair Grounds for your camping enjoyment with a convenience store with fuel nearby. Our club is responsible for maintaining 10 miles of the Eastern part of the Cheese Country Trail which is located in Green County, which includes trimming grass, brush, and trees, tree removal, placing of trail signs and grooming the trail bed. We offer an ATV safety course, in the spring of the year, to teach safety and DNR certify ATV riders, that were born after January 1, 1988.
all ATVs must have a valid registration sticker. Take a ride to Monroe and visit one of our many fine sponsors. This memorial is a respectful place and you should not have to be told that, you should know that! The Green County ATV Club is offering a $250.00 reward to anyone with information leading to the arrest and conviction of anyone defacing the trail! This means no donuts or power turns or digging holes in the trail or defacing the trail in any way! The fines are very high for this offense. The Green County ATV Club is having a shirt sale and if you are interested in a shirt, please call Gary Wilhelms at 608-966-3327. The shirts can be ordered in different colors, styles and with or without pockets, also have sweatshirts. Please call Gary if you have any questions. The Green County ATV Club is offering a $250.00 reward to anyone with information leading to the arrest and conviction of anyone shooting at the signs on the trail. CHEESE COUNTRY TRAIL STICKERS are sold for $15 per annual calendar year. In state ATVs or UTVs that are currently registered in Wisconsin are NOT required to have a Tri-County Trail sticker. Out of state ATVs or UTVs, are required to purchase a Wisconsin DNR registration or a Wisconsin DNR trail pass and should refer to ATV Registration for additional information and requirements. Please click on the tabs above for more information about our club. Effective July 1, 2012, all ATVs and UTVs registered for public use in the State of Wisconsin, shall have a plate attached to the rear of the vehicle.